As I mentioned in the article on The Importance of Maintaining Balance, sports in general, are a great metaphor for life. For example, in the course of a basketball game, many analogies can be made to what transpires in a person's life. There are the ups and downs, the endless challenges, the constant adversities and the endurance it takes to meet them head on. 1. Learn and master the fundamentals of the game. Before you can play the game of basketball you must learn the basics or fundamentals - how to play the game, how to pass, to dribble, run the court and shoot the ball. You have to develop the necessary skills to play at an acceptable level. Lesson: In life you must also learn the basics. You must establish what it (life) is, what it means to you and want you from it. You must then develop the requisite skills and strategies for attaining it. 2. Be prepared both mentally and physically. Elite athletes know that you can't function optimally or win games if you're not prepared both mentally and physically. You must be in great physical shape to withstand a long, grueling and demanding basketball season. Equally important, you must have mental fitness. Mental fitness includes a positive, willing and winning mindset. One without the other will not win games. Lesson: Being prepared mentally and physically is equally essential in life. 3. Be unselfish and a team player. Basketball is a team sport, which means it requires contribution and co-operation from every member in order to play well and win. Everyone must focus, work together and fulfill their individual roles for the common good of the team. 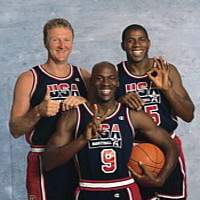 As great of a player that Michael Jordan was, he did not win any championships until he learned to involve his teammates by trusting them and distributing the ball. In one of the highest scoring games of his career, where he scored 63 points and set a playoff game record, his team lost to the Boston Celtics. In a sport where individual greatness is in large part measured by winning a championship ring, personal glory does not get the job done. Lesson: So it is with life. Contribute, co-operate and share. 4. Be alert and aware. Anticipate the play. The greatest players in basketball have all been credited for having extraordinary court vision and awareness. 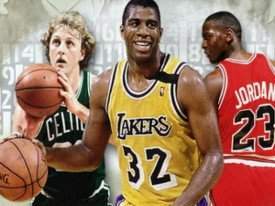 Larry Bird, Magic Johnson, Michael Jordan, and other great players knew exactly where everyone was on the court, the other players' tendencies, and which plays would work against the different teams. The ability to anticipate and be ready for a play made them active, rather than reactive, players in a game. It's one of the factors that separates the great players from good players. Lesson: Being conscious and aware in life sets the stage for achievement. 5. If the plays aren't working, re-adjust the game plan. Every great basketball player knows that when your plays aren't working you have to adjust, and then adjust some more. The varying strengths and styles of different opponents require different tactics. You have to be able to withstand and respond to whichever attacks an opponent uses on you. Lesson: Life presents us with many challenges for which we must adjust our game plan. 6. Never give up on the play. Persevere. Another characteristic common to the brilliance of Larry, Magic and Michael was that they never gave up on a play. When they missed shots they would be the ones to retrieve their own rebounds, dive for loose balls, outwit defenders, and make every last second count (many times it did). They were willing to do the small things that the statistics didn't reflect. Many a dagger was thrust into an opponent's heart when the outcome of the game seemed a foregone conclusion. Why? Because they never gave up. Not on the play, not on the game, not on themselves! Lesson: Persevere. 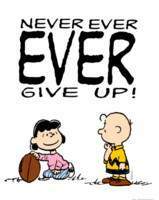 Never, ever, ever give up. 7. Win more games than you lose, but accept both victory and defeat graciously. No matter what sport you play, you can't win every game. In a 7 game championship series, two evenly matched teams often win only one more game than they've lost. It takes blood, sweat and tears to win a championship. If you give it everything you've got, no matter what the outcome, you can walk away with your head held high. Learn what it takes to win and come back and try again. Before they won, Larry, Magic and Michael lost many games and championships. Before they understood what it took to win, they had to learn to accept defeat. Lesson: So it is with life. Everything will not always go your way. There will be both losses and wins. If you give everything your best shot and learn the lessons along the way, you will come out a winner.